Because Diversity enriches all of us. We hope the Academic Support Center will become a second home for you during your time at university. Adrienne Matunas, the Coordinator of Castleton's Pathways Program for English Language Learners, looks forward to working with you. Whether you want to work on your conversational or written English, she can help you strengthen your language skills and gain confidence. 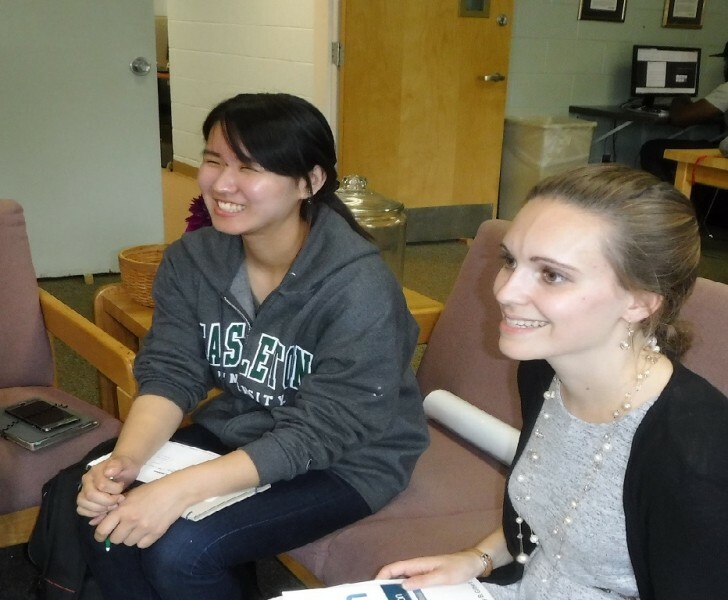 She offers drop-in hours for English language tutoring at her office in Moriarty House. But we offer more than English language tutoring. All of us at the Academic Support Center enjoy working with English language learners, and all of our services are free. Whether you need help with writing or math, want tutoring in a specific class, or have questions about college life, we can help. Call us at (802) 468-1347 or stop by the Academic Support Center in Babcock Hall to schedule an appointment with any of us. The International Student Office has more information about campus resources.